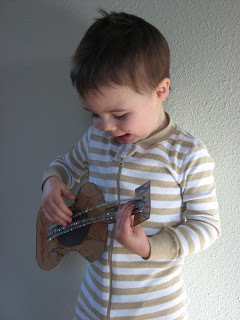 I am not sure if I have shared my son’s insane love of musical instruments with you or not, well I guess I just did. He loves them, especially trumpets, guitars and upright bases. 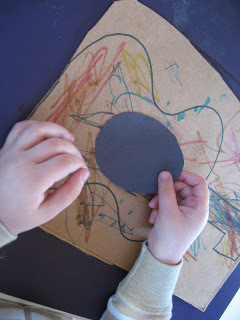 The easiest of the three to recreate during art time, is the guitar by far. This little creation has been played with for almost a week and has held up well, I hope you have as much fun with it as we have. Gather your materials. 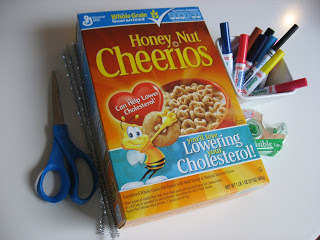 You will need some cardboard, scrap piece of black construction paper, tape, sharp scissors, 3 metallic pipe cleaners, and lots of markers. 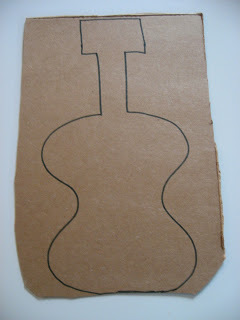 Draw a simple guitar on the cardboard. 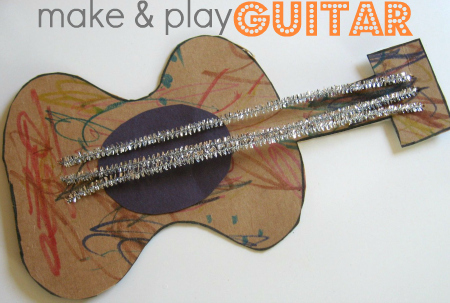 Perfection is not required, as long as your child can guess that it’s a guitar you are fine. Have your color it with markers. 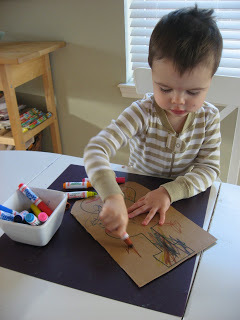 I chose markers over paint because you have to wait for paint to dry and this is a project you want to play with immediately. 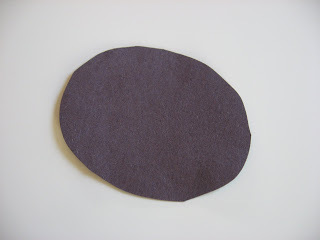 Cut out the black oval for the hole while your child is coloring. Poke 3 holes o the neck of the guitar, and 3 corresponding ones at the base. 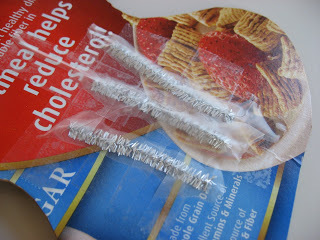 Thread your pipe cleaners through , bend and tape the pipe cleaners on the back side. 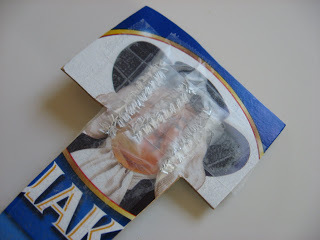 Tape over the tape a few times so the pipe cleaners are secure and no sharp bits can peek through. 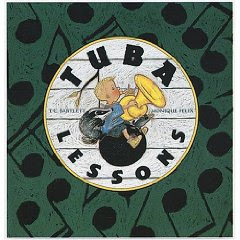 “Tuba Lessons” by T.C. Bartlett is a book about a little boy walking to his tuba lesson and all the things he encounters along the way. The book has very limited text but tells a sweet story effectually without it. 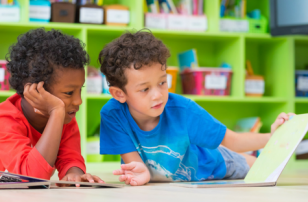 Younger children will need a parent to help spark the story with questions about what’s happening but even my 2 year old clued into the music notes getting bigger when there was a louder sound and smaller when it was quiet. Grab it and see what I am talking about. 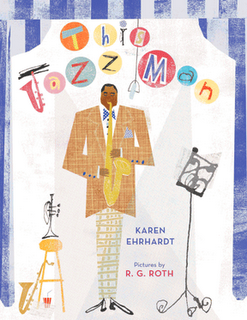 “This Jazz Man” by Karen Ehrhardt is my new favorite book. The book updates the classic children’s song “This Old Man” and inserts all different men in a jazz band, however at the end of the book it explains that each jazz man is actually a real person including Louis Armstrong, Dizzy Gillespie and more! I love the bios at the end of the book because I want to learn more about jazz too. Ok back to the book, the book itself is a counting book,and my son eats it up, he loves calling out the number and instrument as I read the rhyme. He has had me read it countless times today and I haven’t minded one bit,the pictures by R.G. Roth are adorable, and all in all I just love this book! Next Post: Sent In By You ! 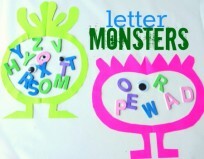 Previous Post: Letter of The Week D d ! awwww this is great! My husband plays guitar too and Lorelei loves playing with him! I’m going on vacation in a few weeks and have been looking for some projects for hubby to do with her while i’m gone – I think I just found it! INCREDIBLE!!!! 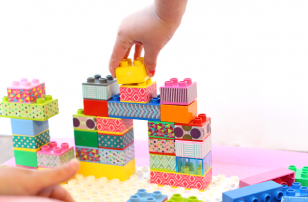 Love this idea… as always. 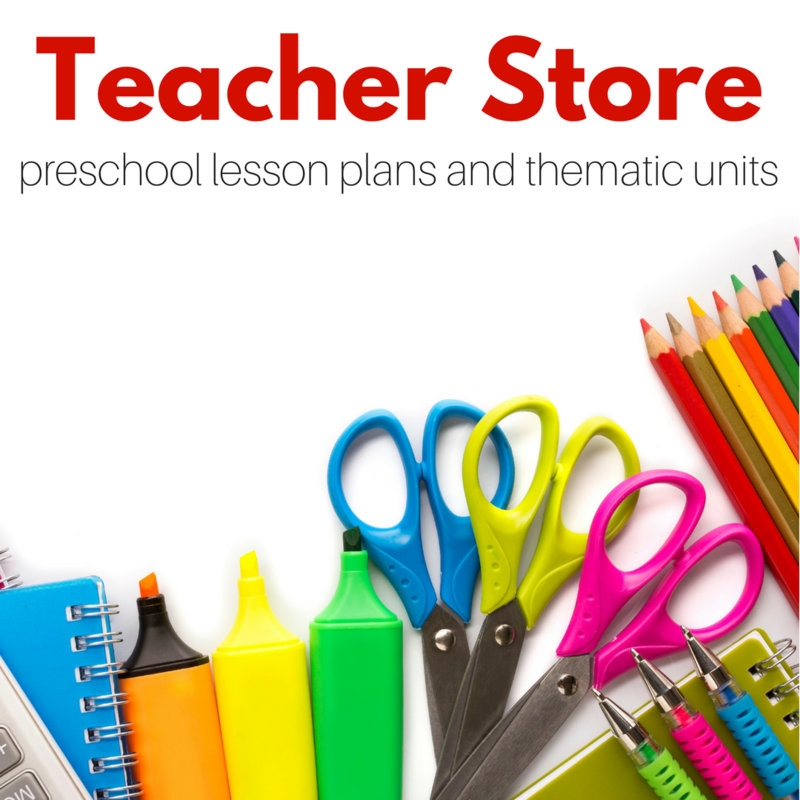 I don’t think there is a kid in the world that wouldn’t adore this project. Groovy site! Not just the content but the get up as well – the way you have it all laid out, and the links and stuff. Neat. Wish I could do something like that! Yay! 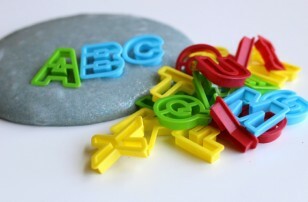 I love this and so will my almost 3 year old. He is absolutely obsessed with musical instruments and the guitar is one of his favorites. I can’t wait to do this activity with him. These are so adorable! 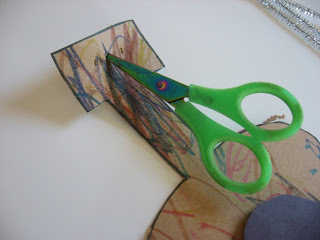 Thank you so much for all the wonderful ideas for crafts and books to go along! wow! Thanks so much for this! 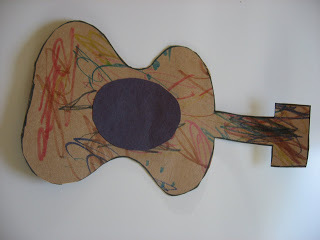 My 2 year old is sick today so we made the guitar and she has rushed around with it all morning. Has completely distracted her from her cold! “I wanna be creative” should be sung to The Ramones, tune “I wanna be sedated”. We loved this one– thanks! 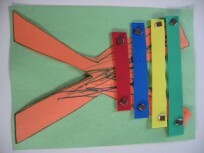 My 2 year old and I made this and gave it to his music teacher as a present. We love your site!